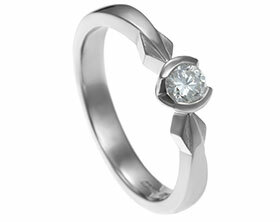 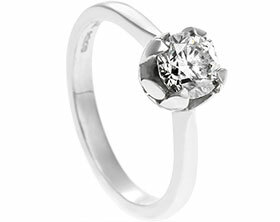 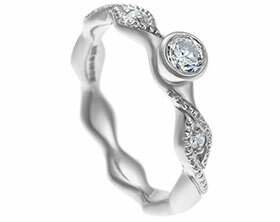 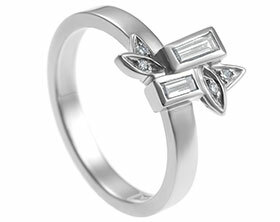 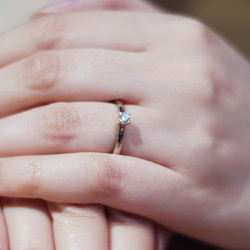 This ring is inspired by art deco styles and classic art deco shaping has been used to create a feminine feel to the design. 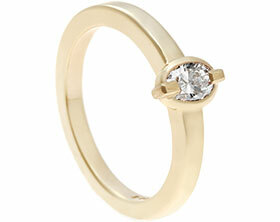 The central setting is hand crafted in 18ct rose gold which serves to soften the geometric side detail. 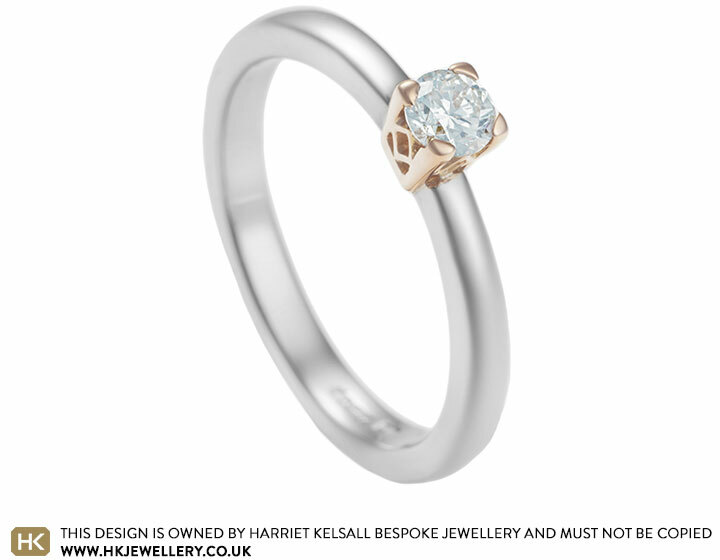 Mounted in the centre of the ring is a 0.19 carat brilliant cut H SI diamond who’s bright sparkle contrasts well with the warm rich tones of the rose gold. 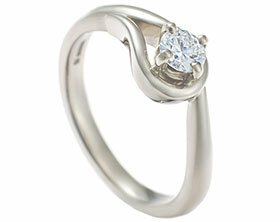 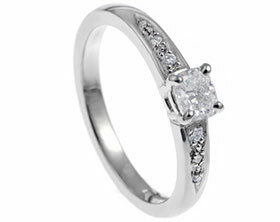 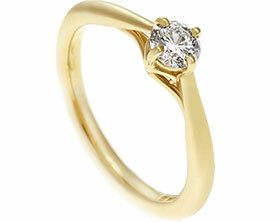 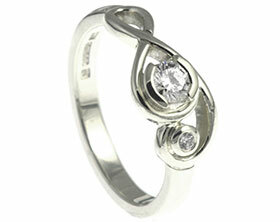 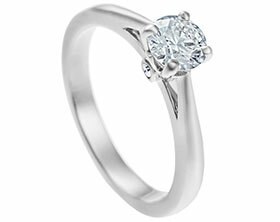 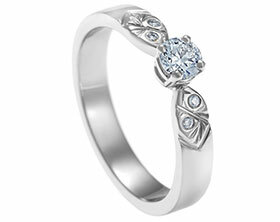 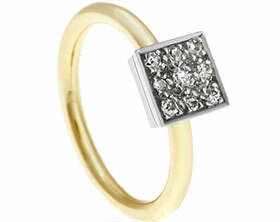 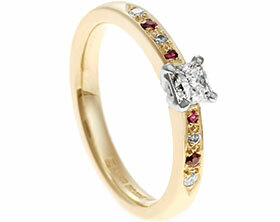 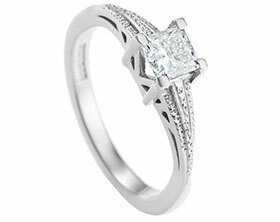 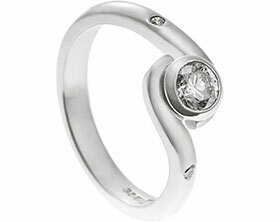 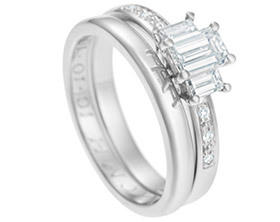 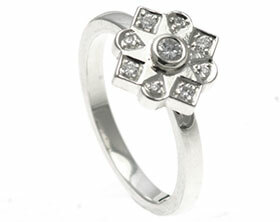 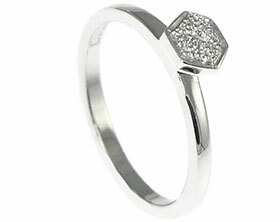 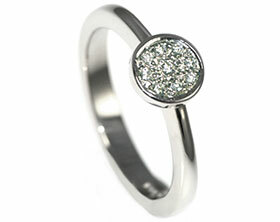 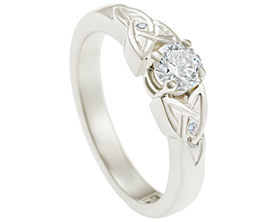 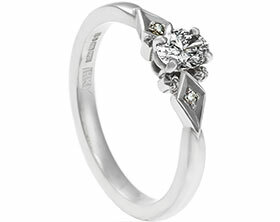 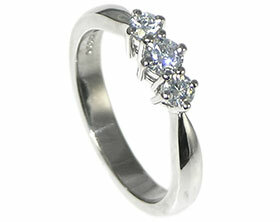 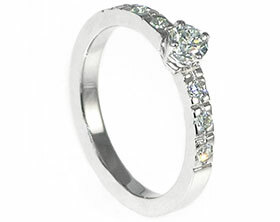 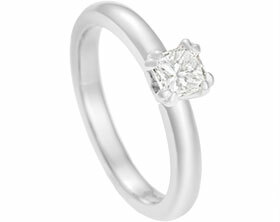 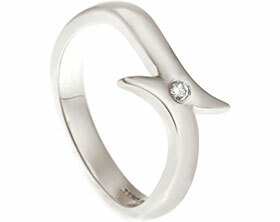 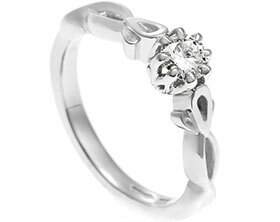 To balance the design, the band is made from 18ct white gold and the ring is finished to a high polish.